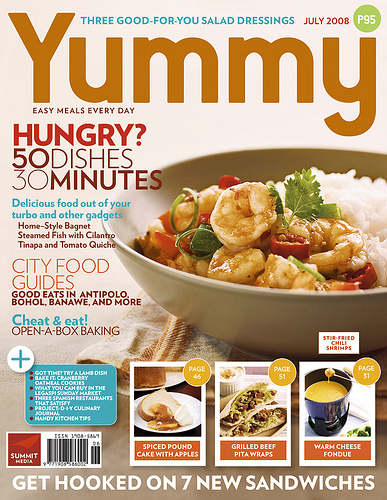 This coming Saturday, Yummy Magazine is coming to Salcedo Market. To celebrate Salcedo Market’s 4th Anniversary, Salcedo food retailers will be selling delectable dishes inspired by the pages of Yummy Magazine. With every purchase, Yummy will be giving out fun Yummy merchandise. Come and join in the goodness. See you there! Ooo, double treat! It's the Artfest this Saturday too!